Civil defence is one of Sarco’s crucial areas of operation. With the help of high-capacity alarm devices even the most difficult and versatile situations are possible to take under control. Sarco Oy Civil defence alarm systems consist of a main control system, fixed outdoor alarm devices and mobile alarm devices. The high-capacity alarm devices are the fastest, most efficient and most reliable way of communicating imminent threats. 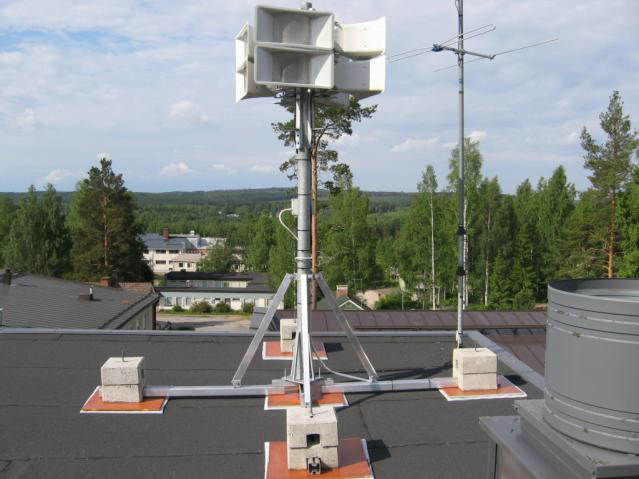 Alarm system loudspeakers can be used to issue instructions to the population in case of an accident or an imminent threat. 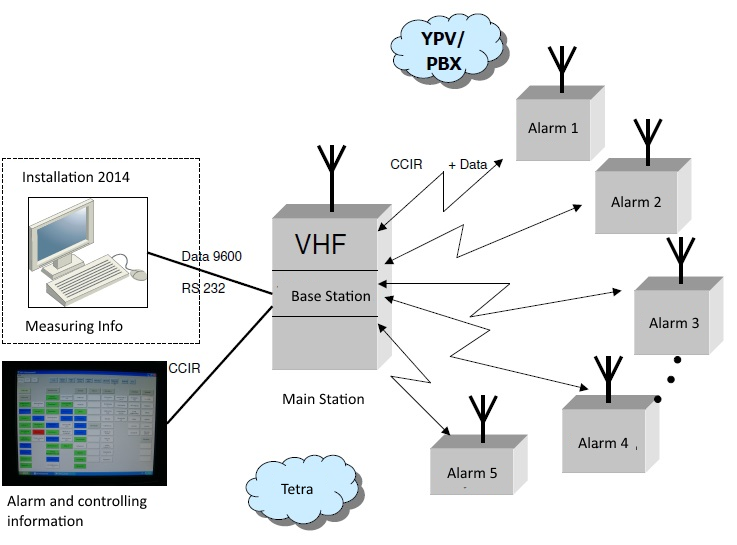 The control software for the VSS alarm devices developed by Sarco and its partners also includes the possibility of map-based control. In the map-based control mode the customer sees all the targets in the entire area directly on the screen. 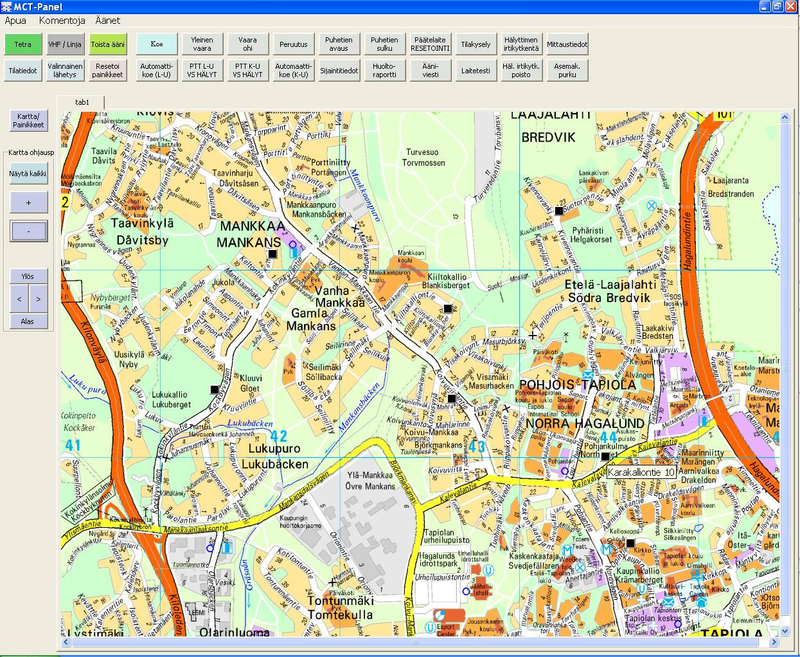 Detailed status is indicated by the different menus with different status symbols and pre-defined messages in a map view. It is easy for maintenance people perceive the location of the equipment in case of emergency. The targets can be selected either by tapping the mouse or directly from the touch panel. User-friendly software is available in several language versions, and it easily integrates into systems and swarm the bones used in other civil protection. If necessary, an alarm can be sent to the Tetra system / mobile device supervising unit area of, say, a text message. The system can be controlled from one or several locations. These locations can be specified flexibly according to the customer’s needs. Audio reports can be transmitted from emergency centres, regional control centres or if necessary, from different mobile units. Regional emergency centres activate the alarm devices and monitor their operational status. System can also be controlled and used via a common internet connection by using protected VPN connections. The systems central processing unit can be connected to various external measurement units for gas, smoke, radiation etc. 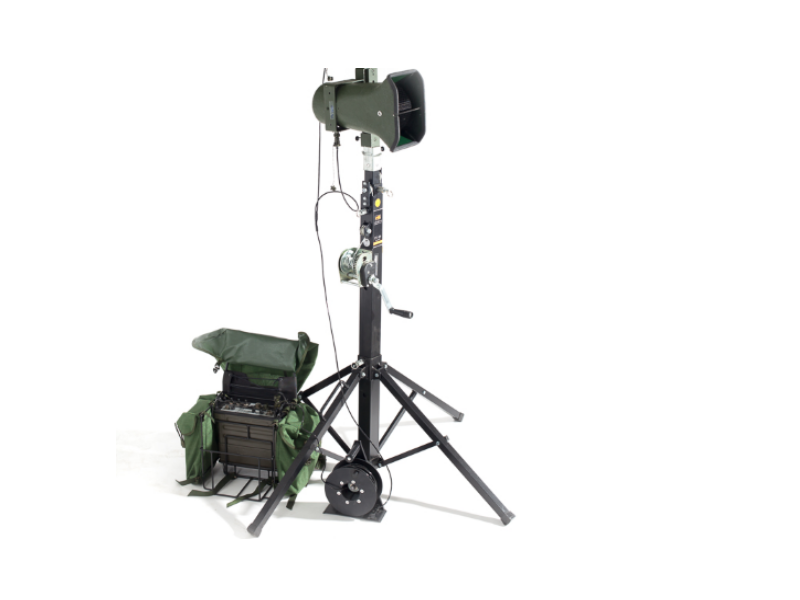 The portable amplifier package is light (7 Kg) and easy to carry to the place where quick warning or guidance is needed. Package has been design for tough weather conditions and rough treatment. The Amplifier Unit may be controlled with the Local Control Device, or remotely. The speakers are sturdy and portable because they are made of fiber glass and aluminum or stainless steel. The sound coils are liquid cooled to allow high power output with minimal heating. This enables the speakers to be used also in a very hot environment. System for vehicle use consist of amplifier unit, cable kit, loudspeakers and mast set. Whole system will be crafted according customer needs. 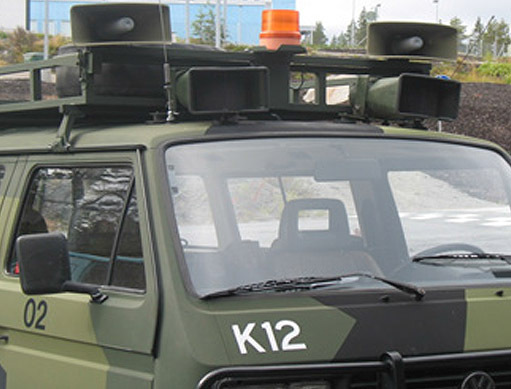 The vehicle speakers are attached to the vehicle roof with magnetic feet, or they can be attached to a pole similarly to the ground erected ones.